If you are interested in self publishing, So You Want To Write, is a great resource to help you get started and follow through with your book concept. This article is designed to give you the basics of what is entailed if you choose to self-publish. It is a lot of work, but if it is done right, you will reap the benefits of getting your work into the public in a timely fashion and your readers will applaud you. Due to changes in the traditional publishing industry, self-publishing has become one of the fastest growing segments in the publishing business today. Authors choose to self publish for many reasons: some to get their material to the marketplace faster, others so their message is not changed, and others to keep their book in print longer. As you consider self-publishing, keep in mind that it has its risks and its rewards. You do the writing, the editing, the typesetting, and you contract with the printer. You are the graphic arts designer, you warehouse the books, you market them and you pay for everything, up front. It is a lot of work and a lot of risk! As a self-publisher, you have the responsibility normally relegated to many people, but if you do it right, you will find the risk and the work, well worth the effort. 2. The book itself may take years of writing. a. Decide on the size of the finished book. b. Decide on the type of binding. Self-publishing may seem like a daunting task, but there are resources available to help you. Books by Dan Poynter and Marilyn and Tom Ross were instrumental in helping me publish my first self-published book. So You Want To Write, was written to help Christian authors fulfill the call in their life to write. It answers the many questions associated with writing and publishing a book. 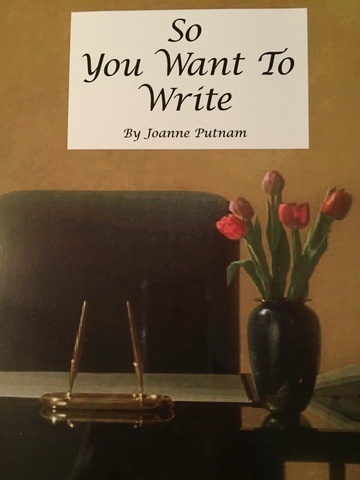 It was designed to jumpstart your writing with useful, practical information that guides you through the writing process to the finished product. It challenges you to complete the work you believe God has called you to do. It is wonderful to have the desire to write and the encouragement of others, but until you put pen to paper or fingers to the keyboard, it will not get written. You have a message to share. You have a life to change. Don’t die with the book inside you!